Is there a better alternative to SG Project Sketcher? 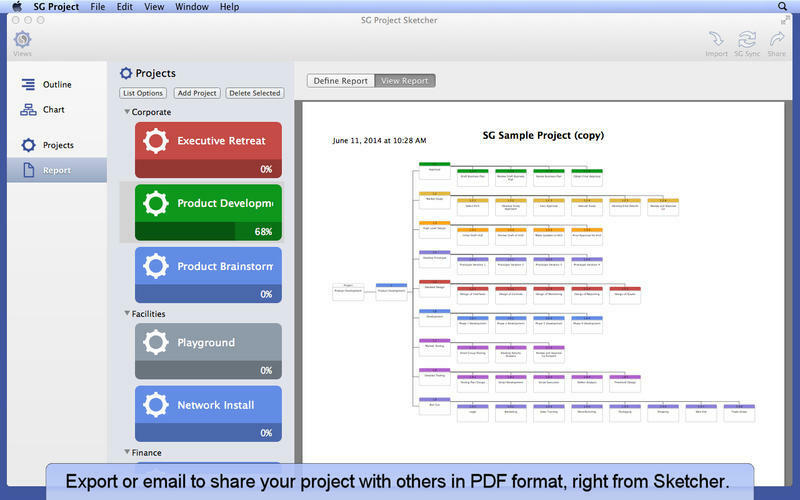 Is SG Project Sketcher really the best app in Project Management category? Will SG Project Sketcher work good on macOS 10.13.4? 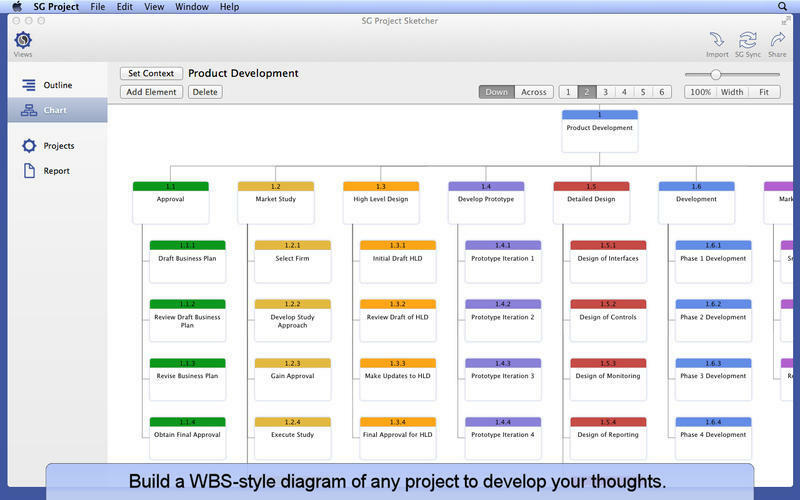 SG Project Sketcher is a quick way to sketch out your projects using the two most common approaches: text-based outlining, and graphical Work Breakdown Structure (WBS). 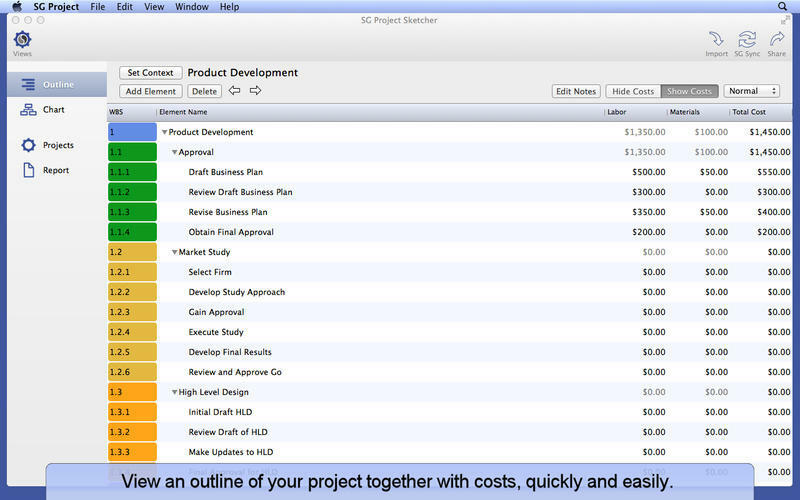 As a member of the Simple Genius project management suite, Sketcher is your starting point for shaping your projects during early stages. 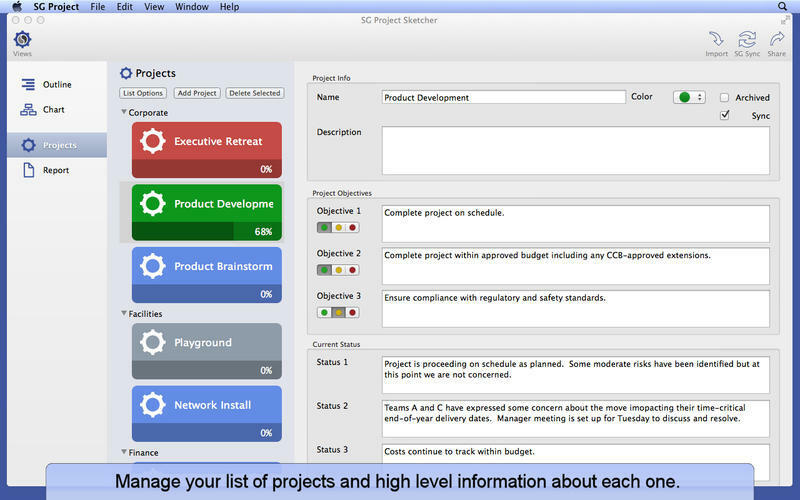 As the project gets serious, the project sketch can easily be imported into SG Project Pro for full management during the project execution. 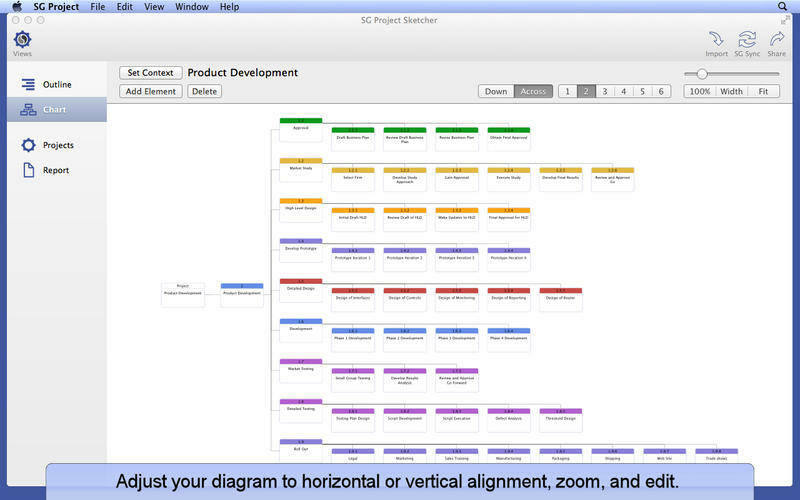 Or use Sketcher to create outlines or diagrams to be used in parallel with your project plan. SG Project Sketcher needs a review. Be the first to review this app and get the discussion started! SG Project Sketcher needs a rating. Be the first to rate this app and get the discussion started!